Well, it’s Sunday afternoon, and the final session of General Conference is about to start. The same conference threads I referenced in the morning session are still open and active. (Note these notes are rough and need to be cleaned up, which I will do shortly; but have a few things to do prior to that). Once invited a deacon’s quorum president to help him in discussion keys of the priesthood. We use keys to fulfill assignments by priesthood authorities, even at the young age of a deacon. The Restoration message is for all who will listen and obey. The First Vision ushered in the dispensation of the Restoration. As Joseph said, I saw a pillar of light. This vision revealed that God and Christ are two separate personages, with their own bodies of flesh and bones. This cleared up any confusion of deity of the prior centuries. Doubt, disbelief and misinformation would immediately follow. So, God brought forth the Book of Mormon to provide convincing evidence to the world that Joseph Smith was a prophet of God, and that he was the instrument of God in the Restoration. Translation of the Book of Mormon is a miracle in itself and provides further proof of its divine origin. By the time Oliver Cowdery arrived, only a few pages had been translated. Over the next three months he translated some 500 pages in just two of those months or about 60 days. Joseph and Oliver were impressed with the doctrines, including baptism as discussed in the Book of Mormon. On May 15, 1829 they knelt in prayer. John the Baptism appeared with the keys of the priesthood. He lay his hands on Joseph and Oliver and conferred the priesthood of Aaron, including the keys of the ministering of angels and of baptism. He commanded them to be baptized. They baptized each other and then ordained each other to the Aaronic priesthood, as they had been commanded. Later Peter, James and John conferred the Melch. Priesthood. Joseph then commanded to formally organize the Church. This occurred on April 6, 1830 in the home of Peter Whitmer. A revelation commanded them to keep a record. Joseph was to be called a Prophet, Seer, and Revelator. Thus Christ’s Church was again on the earth. 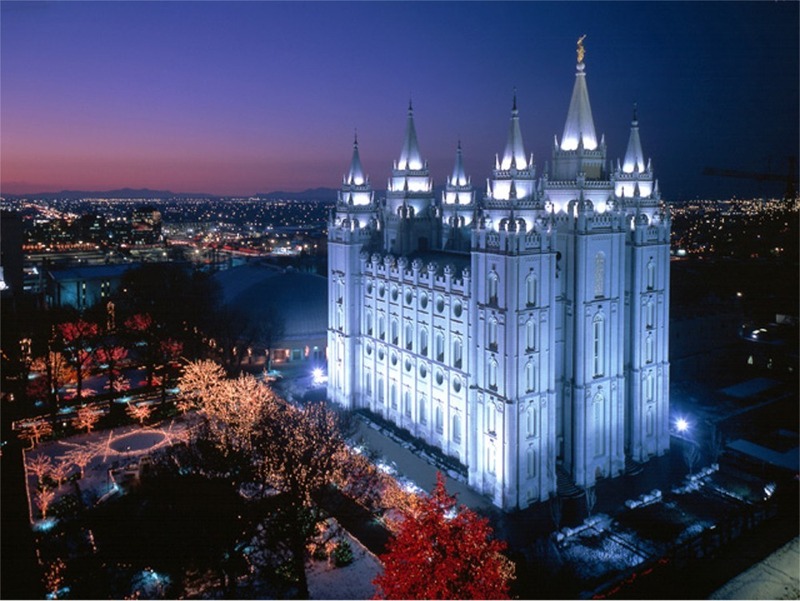 Someday I will repent, or pay tithing, or go to the temple. This is a dangerous concept. It can be a thief of the opportunities of time. Do not procrastinate the day of your repentance. The righteous will set down in Christ’s kingdom, to go no more out. The scriptures are full of the examples of wise servants. Joshua was one. Serving Christ invites the Holy Ghost to be with us. The Holy Ghost cleanses us of sin. Christ set an example not to procrastinate. It is He who invites us to come unto him and serve him without delay. Those who seek him early shall find him. It is not supposed to be easy to do that which we should be doing. It is not supposed to be, as mortality is a probation period to prepare for eternal life. Faithful obedience is a key. Hard as we knew the test to be, we had joy. We knew Christ would come into the world and overcome death. It would not take superior intellect to complete mortalities probation. We can all do it, through Christ and his Atonement. Christ will take upon himself our infirmities. All of us will need His help to avoid procrastination in order to obtain eternal life. 1. Be complacent about what we have done. We might think we have already done enough. This can even affect a seasoned adult as well as youth. It doesn’t matter what we have done in the past. We will be tempted to serve again some day. There is danger in resting because we think we have done enough. It is hard to know when we have done enough to have effected a mighty change and take advantage of Christ’s Atonement. 2. Overwhelmed by what needs to be done. As long as we have power to pray we can ask God please let us serve this day. I will obey this day. I know that I can with thy help. Perhaps we can forgive someone who has offended us. Perhaps we can help someone who is hungry. If we pray for the spirit, we will know what to do to help someone. By serving Christ this day we will know Him better. Feeling His love will draw you back to his Service doing away with complacency and overwhelming feelings. Are we Christians? Before he converted he thought of himself as a Christian. When he encountered the Church, he learned truths he had not known before and how he viewed the Gospel. He chose to embrace those truths. The nature of the Godhead was one of the truths he embraced. There are three distinct individuals. Confusion of the Godhead came from “men” out of the Nicene creed. The teaching of the trinity are incomprehensible to him. But, learning of the true nature of the Godhead from Joseph Smith was clear and understandable. This is a plain and precious knowledge of God and Christ. Heaven sent revelation has now replaced man made doctrines of the Godhead. The Holy Ghost testifies of the Father and the Son. The Book of Mormon is a sacred record of scripture written by prophets of God to persuade all men to come to Christ. It tells of others who took upon themselves the name of Christ even before His birth. What can be more Christian than to take His name, follow Him, and be like Him? President Hinckley cannot understand (nor can I for that matter) why the world does not, or will not accept the Book of Mormon. We talk, rejoice, preach, and prophesy of Christ. Priesthood restoration another truth of the Restored Gospel. All priesthood holders can trace their authority directly to Jesus Christ. Are we Christians? We are indeed. The Church has the fullness of the Gospel of Jesus Christ. The youth really are a chosen generation. You have the talents and opportunities to do all that is expected of you. Who is on the Lord’s side? Our answer should be “I am.” This was the question on Nephi’s mind and, I am was his response, when he said that he would go and do. Never forget who you are. Remember, “I am a child of God.” God has given us family to help us. He has given us standards in the For the Strength of Youth book. He always keeps a copy of this pamphlet always. Keep it with you always. Remember you are not alone. Learn to control your thoughts. We are sent here to be tested. We will always have temptation. We need to learn to displace and control inappropriate thoughts. There is a line of demarcation between God and the adversary’s territory. Don’t cross that line. Let virtue garnish thy thoughts unceasingly. The Law of Tithing. Will a man rob God? Prove me now, or test me now, to see if I won’t open the windows of heaven. God only asks us to return 1/10th. Pay our tithing, pray, read scriptures, keep the commandments. As members increase their faith, including paying tithing and attending the temple, the Lord will answer our prayers and will bless us. As an airline pilot he had to fly great distances and training. Some can last 14 hours and cover up to 9,000 miles. The point of safe return, the aircraft has enough fuel to return safely. Also referred to as point of no return. Are there such points in our lives? Satan uses lies to convince us of this concept, that when we sin we have passed the point of no return, and that it is too late to return. Satan counterfeits the work of God. He will even misuse the scriptures to imply there is no mercy. The Gospel is Good News. Sin is the wilful transgression of divine law. The Atonement allows us to overcome sin and its consequences. God sent His Son to save the world. If we have taken the wrong course, the Atonement insures us that sin is not the same as a point of no return. God’s plan was prepared before the foundation of the earth. Gospel includes reconciliation and forgiveness. None more important to salvation than repentance. It is the blood of Christ which saves us, not repentance per se. It is by Grace after all we can do that saves us. True repentance makes a brilliant day out of the darkness night. We need to know the correct nature and character of God to have strong faith in Christ. It will change our thoughts and behavior. It will bring us back to doing what is right. We need to ask God for forgiveness and correct whatever wrong we have done. Repentance means a change of heart. We bring a fresh attitude to God and life. We will feel His forgiveness. Our guilt is swept away. Peace I give unto you said Christ. How can we know God has forgiven us? Peace of conscience will come to us. Upon repentance Christ takes away the burden of guilt. The Holy Ghost will verify this. He who has repented is forgiven and God will remember them no more. Satan is a liar. He will lead us away from the path of repentance. We may remember our sins, which was never a promise from God. God will remember them no more. We will, so that we will learn from them. We should avoid anything to bring back old sinful memories. We need to forgive ourselves and also one another. This needs to start individually, then in our families, communities, and finally nations. Let the Love of Christ enter into our lives. Hope is linked to repentance. We can come to Christ and be perfected. We should not procrastinate. He too speaks of repentance during conference because God has so commanded his servants. Repentance is not easy; but it is worth the price. Recognition, remorse and confession and then forsaking sin. These are all prerequisite steps. Restitution is also important. Christ’s Atonement allows full forgiveness to the sinner who has repented. All need to repent. Sins of comission and omission. Have we experienced the “mighty change” in our hearts? This happens when we are converted. Fruits of repentance are sweet. Uncontrolled appetite and unbridled passion are diminished with complete conversion to the Lord. Truth becomes more attractive. Repentance allows spiritual growth. The natural man is an enemy to God, unless through the Atonement we repent and become changed in our natures. Repentance is conversion. A converted soul is a repented soul. Even those who have died will have an opportunity to repent, after paying the penalty of their transgressions. Jesus wants us for sunbeams and bonding blacksmiths. The sweet blessing of repentance is possible for all of us.2:43 p.m. President Monson thanks all who have participated. We have enjoyed a wonderful conference. We rededicated the Salt Lake Tabernacle. We have filled the conference center to capacity every session. Our words have gone to the entire world. Use the May Ensign for family home evenings to review what has been spoken in this conference.